Hairball Is Rockin’ In To The Topeka Performing Arts Center! Hairball is back by popular demand! 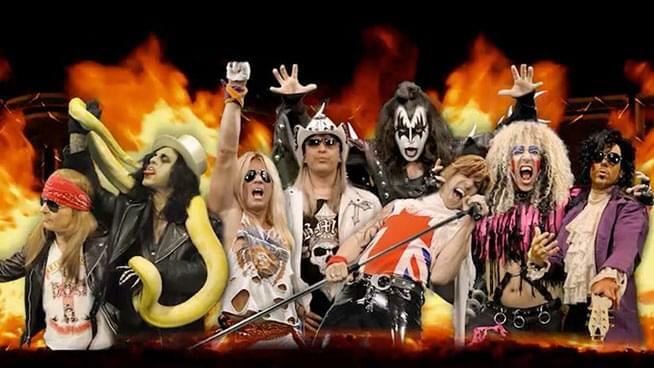 Coming to the Topeka Performing Arts Center on November 16, Hairball embodies all your favorite rock icons. Hairball is a Rock & Roll experience you won’t forget. A band puts on a concert – Hairball puts on an event! The lights, sound, video screens, smoke, fire, blood, bombs, confetti, spiders, snakes & monsters (oh my) and the screaming hoards of rabid Hairball fans create an event – an event that hits you so hard, it’ll take a few days to recover! Rock & Roll will NEVER die!!! Listen all this week (11/5-11/9) to see how you can win tickets!